Cat in a studio featuring a vintage Sequential Circuits Prophet 5 along with a more recent Sequential instrument, the Tempest. From barrettmross in Saskatoon, Saskatchewan via Instagram. 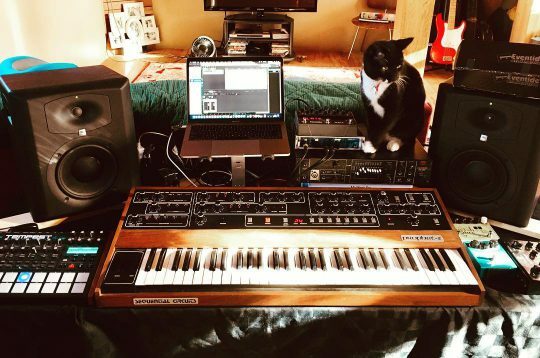 Posted on April 11, 2019 April 11, 2019 by catsynth	This entry was posted in Cats, Synthesizers and tagged analog, cat, saskatchewan, sequential, studio cat, Synthesizers. Bookmark the permalink.